Desert Willow Golf Course. Golf Desert Willow Palm Desert. Desert Willow golf course details and information about Dessert Willow Golf Palm Desert, California. 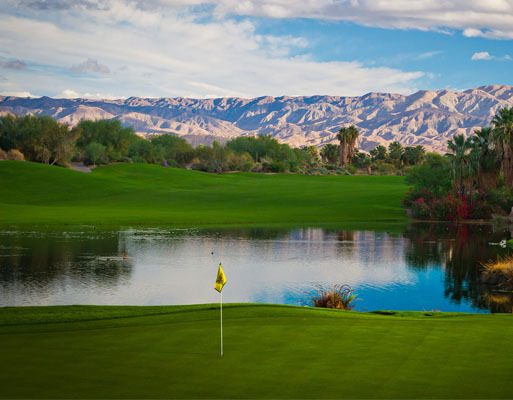 Desert Willow Golf Course in Palm Desert California is just minutes away from Palm Springs. It features two championship golf courses, for 36-holes of great golf. Desert Willow Palm Desert is bound to test your skills. Challenge yourself on one course that features a fire-cliff. In addition, you can choose a more relaxing course and enjoy stunning views of the mountains. The resort is unlike any other Southern California golf course. Golf Desert Willow for a fun experience that includes a clubhouse, the Palm Desert Golf Academy, and incredible views of the Santa Rosa Mountains. For details on another fun public golf course in Palm Desert, check out the Palm Desert Country Club.